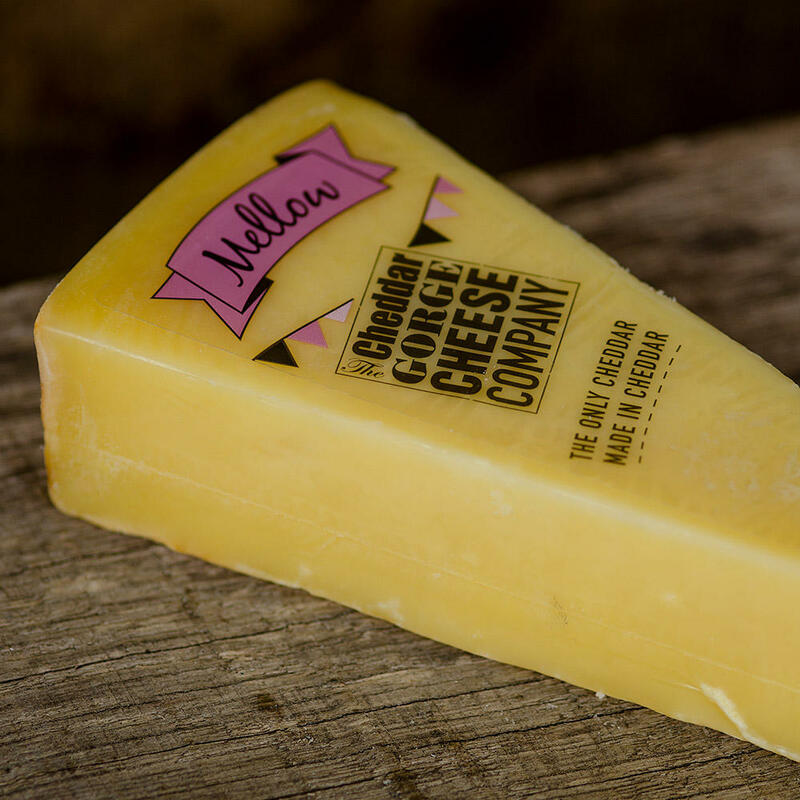 Mellow Cheddar, as the name suggests, is the youngest of our cheeses. At six months old it has plenty of developing character. 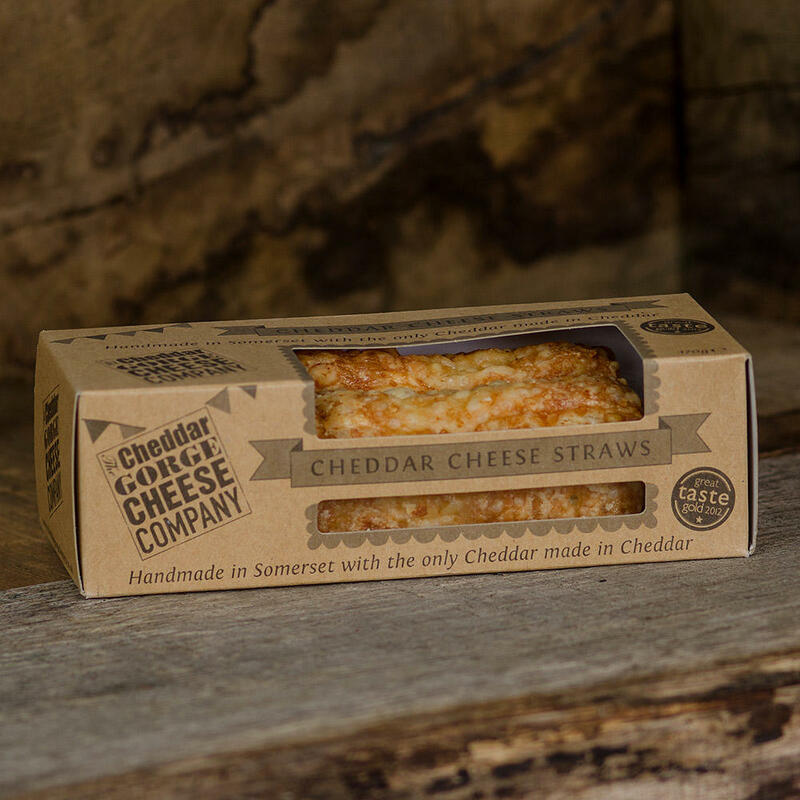 Our youngest cheddar has a creamy texture and a mild, yet authentic taste. It is the start of the more complex flavours and in a sense, the place where everything comes from. Undoubtedly a traditional cheddar, through and through, it is stronger and more vibrant than the everyday mild cheddars available in most supermarkets. It has, like all of our authentic cheddars, undergone the same artisan care and attention. And we are proud to say it is a prize winner too! 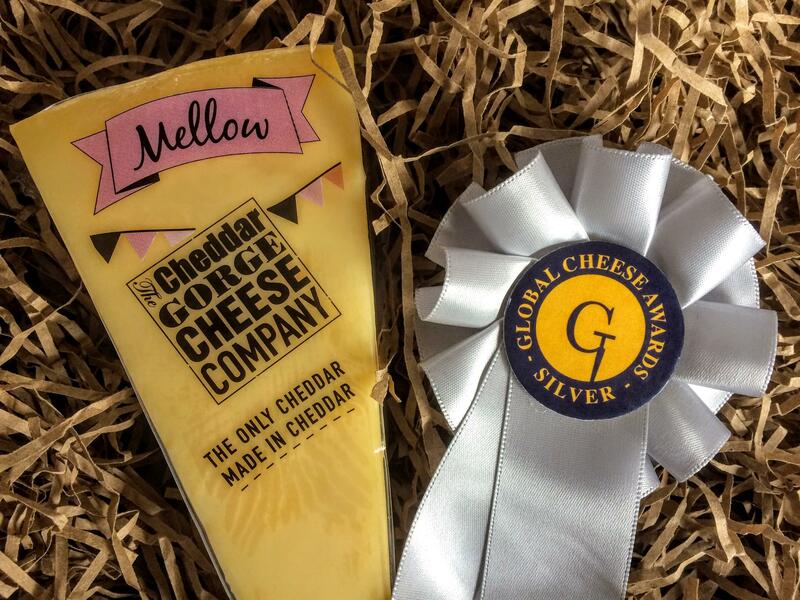 Our Mellow Cheddar picked up a silver at The Global Cheese Awards 2018. A Champion Cheddar indeed! We avoid 13 of the 14 known allergens at our dairy – other than the unpasteurised cow’s MILK. We make all of our cheese from cow's milk. 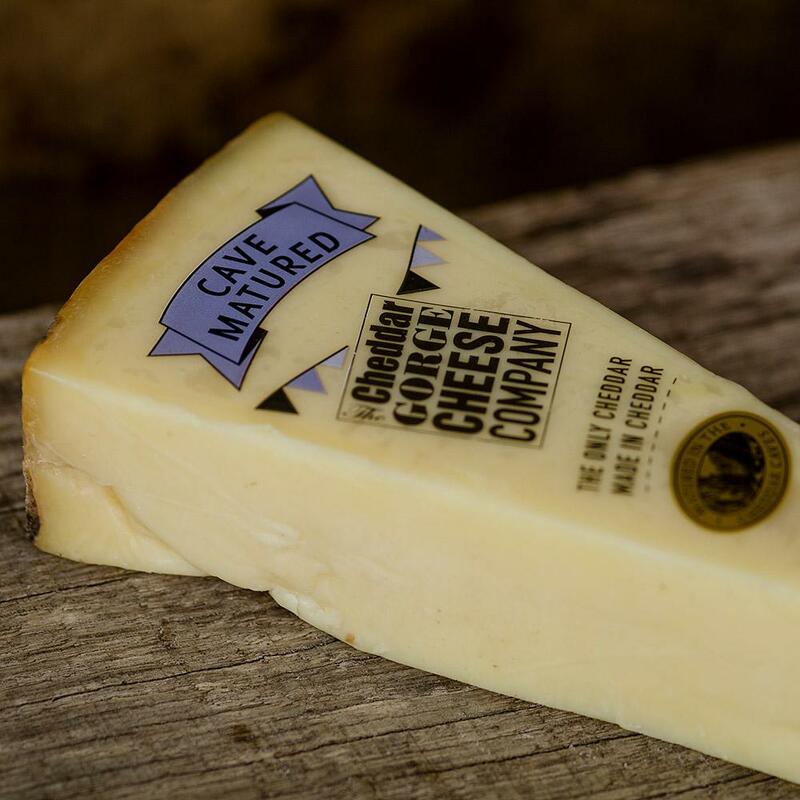 Our Mellow Cheddar is cloth wrapped and matured for a full six months - this is where the journey begins. 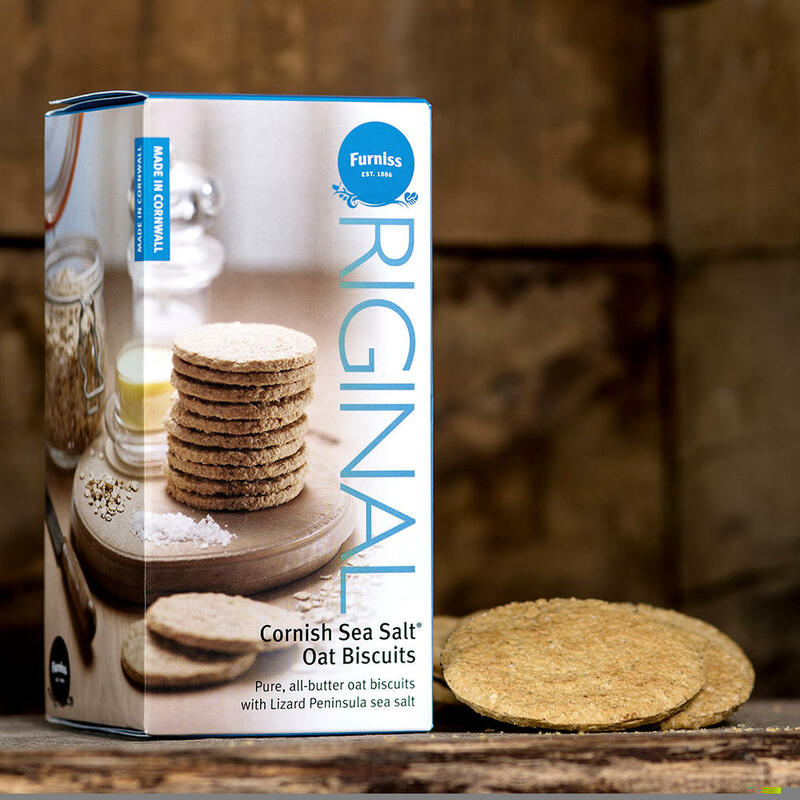 If you prefer a gentler approach to traditional cheddars; this is for the cheese for you. A wonderful springboard to an exciting adventure! 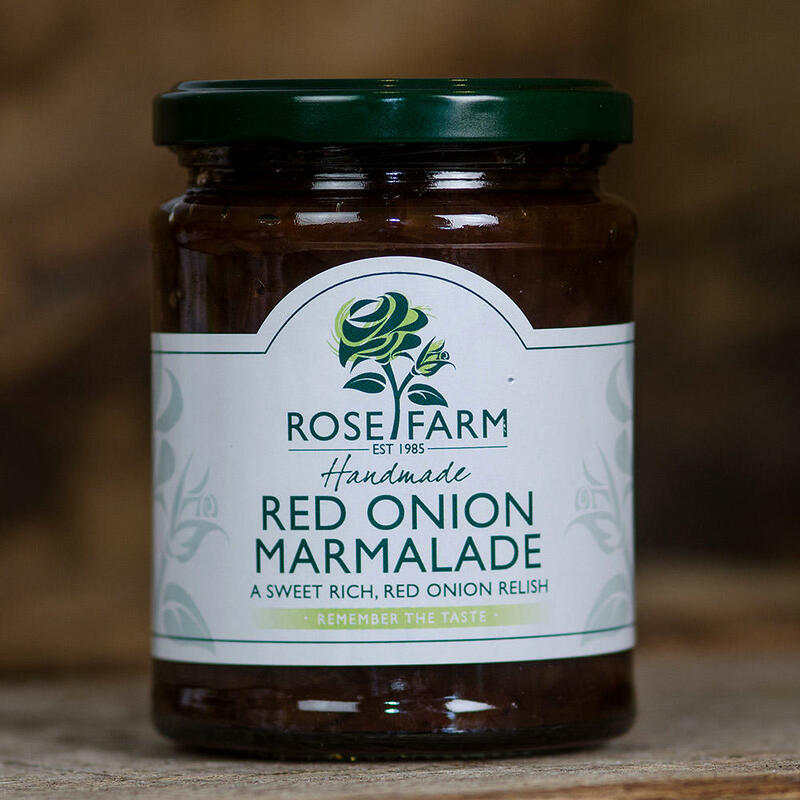 All our online orders are packed, chilled and sent to you as quickly as possible with the best before dates allowing you plenty of time to enjoy your purchase. Our checkout is safe and secure, ensuring your peace of mind.